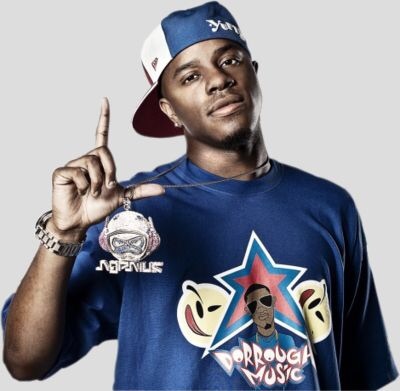 New York - ( May 12, 2015 ) Dallas hip hop recording star Dorrough Music announces today the release of his new single " Who Got It," featuring West Coast favorite Problem. The heavy bass drum track is produced by League of Starz, who are also known for their work with Wale, Chris Brown, Snoop Dogg and DJ Drama. The single is now available on iTunes. Purchase "Who Got It" here and listen here. Visuals for the hot new record are up on Vevo and can be seen here. Fans can also check out the network premiere of the new video on Revolt TV today at 4 pm PST / 7 pm EST. The track is the first official single off his new album, TexaFornia (eOne Music/PrimeTimeClick), expected in late fall. "I've never put so much time and effort into one project like i have with TexaFornia," says Dorrough Music about the upcoming album. "This will be the album that separates me from the rest and shows the world that I am a true artist that can create music at the highest level." His latest mixtape, "Shut The City Down 2," is hosted by DJ Skee and DJ Base. It is available for download here. It features a collection of southern hit makers including Young Dolph, Riff Raff, Too Short, Chamillionaire, and Lil Boosie.